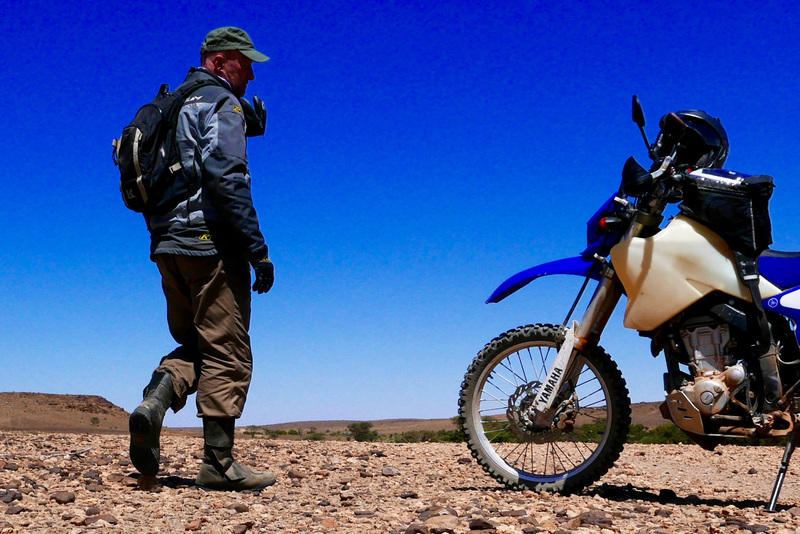 Where: 3000km over a month in southern Morocco. 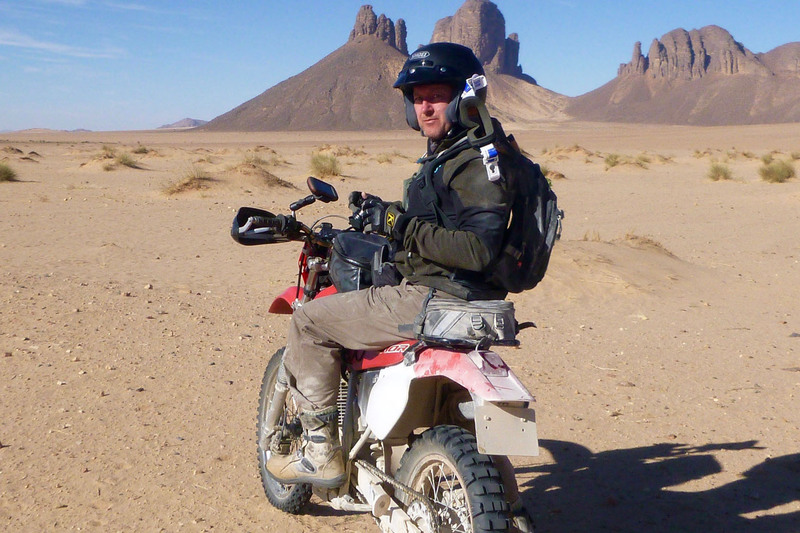 Then another 5000 in Morocco and Spain and another 1000km in Algeria in 2018 and so on. UK price: £165 at Adventure Spec. 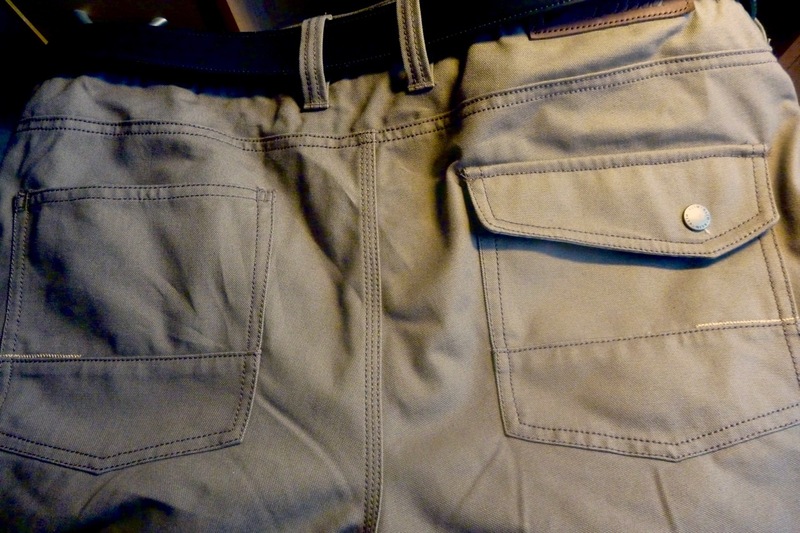 As I wrote last year, I’ve been looking for some riding pants that make me feel protected but don’t weigh a ton like my old leathers, and aren’t sweaty, bulky, membrane overpants. There are those kevlar-impregnated demin jeans, but who actually wears jeans these days? 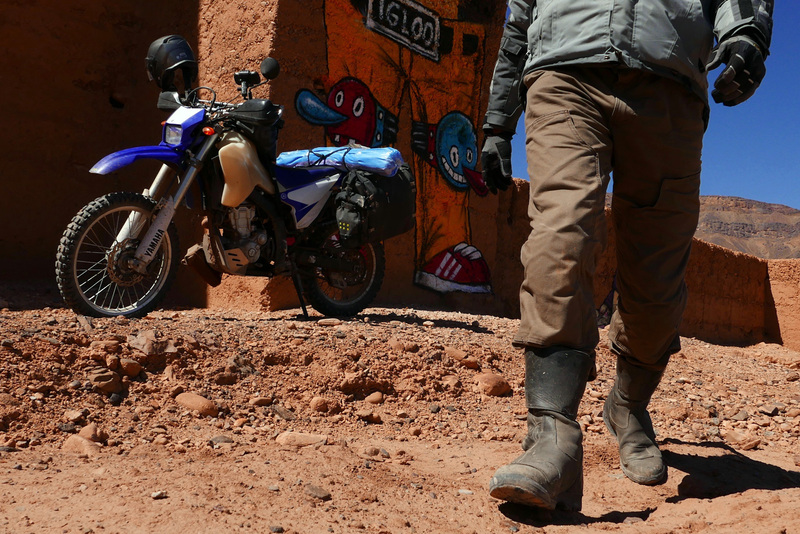 After a while I decided my Klim Dakar ITBs were just too race-focussed, under-pocketed and too nylony for my tame level of desert touring. At the 2016 NEC Adv Spec put me onto Klim’s forthcoming Outriders – normal looking, jean-like riding pants with well-thought-out armour. Something you can wear on or off the bike. 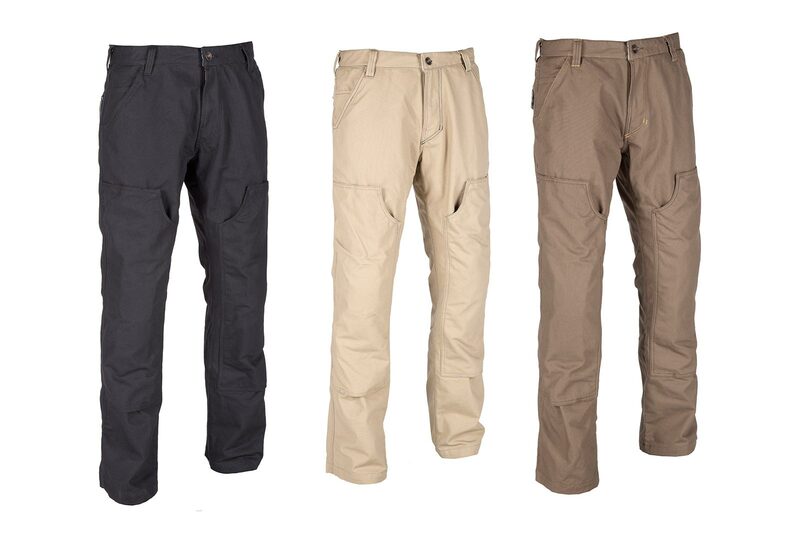 In other words: ideal do-it-all travelling trousers. When they arrived my 38″ Regulars weigh 1440g with the armour, or 1090g without. More than half that of my leathers and a bit less than the chunky Dakar ITBs. 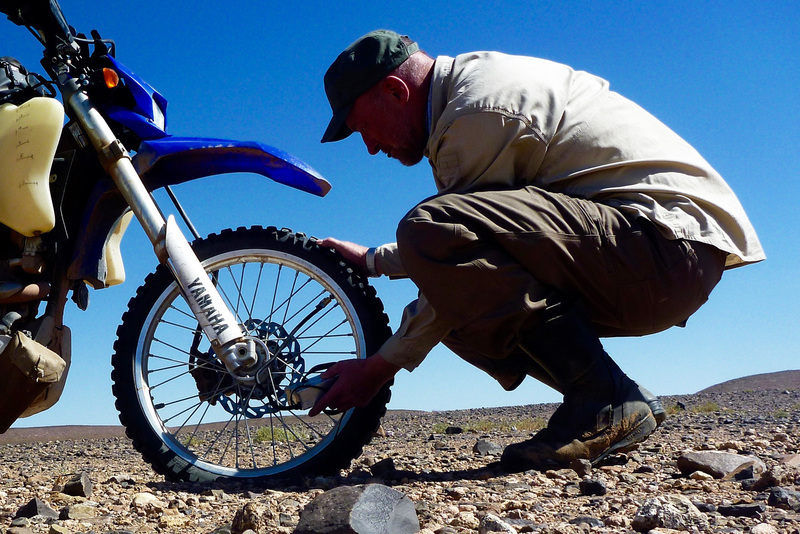 I was pretty sure I’d like the Klim Outriders and out of the box I wasn’t disappointed. I’m around 6′ 1″ and 94kg, 37″ waist (when I left for Morocco), and an inside leg of 32″ (unchanged). So ’38 x 32 Regular’ was my size. But these pants are actually a yard long in the leg and once worn standing up, sag at the heel, like the image right, but more . Once the armour’s in and with some riding up when sat on a bike, they actually look correct. 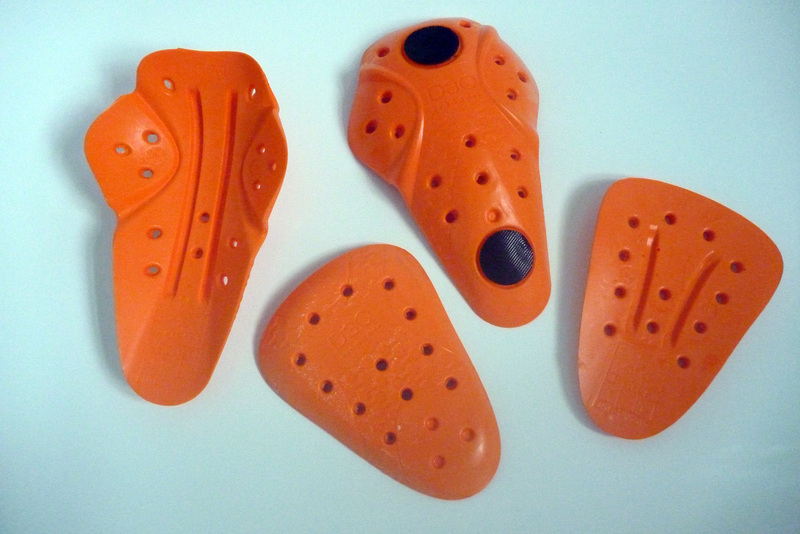 And if you wear them ITB (in-the-boot) to eliminate snagging the baggy ends, it ought not matter (or so I hoped). Better too long than too short, I suppose. 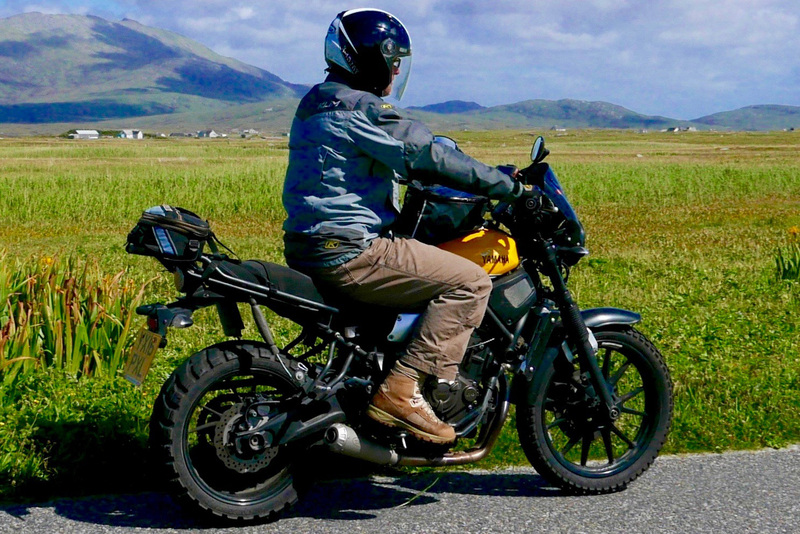 You get two front pockets with a jean-like coin slot inside one; two at the back, one with a flap and stud, and a smartphone slip-in on the left thigh so you can check in without taking your hand off the throttle. Inside, mesh takes the slim D3O hip armour pads (left; I didn’t use them on my trip), and at the knees you slip the armour in from the top, position with unobtrusive velcro and do up a stud. Even without the armour these long, double thickness knees will give some extra protection , and feature drain holes at the lower ends for those deep BAM crossings (right). 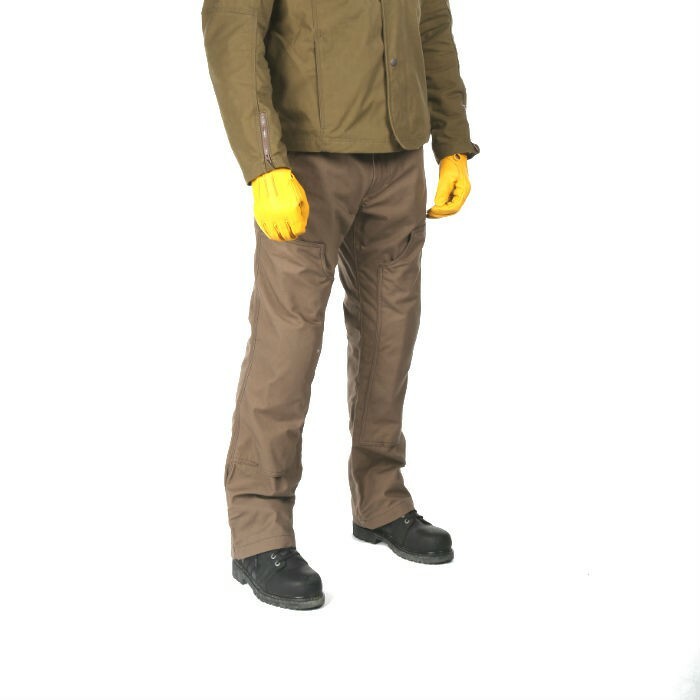 The 75% Cotton-Cordura fabric is hefty without feeling like scout tent fabric or being unduly sweaty. The attention to detail and triple-stitching is confidence inspiring and the shade of dark brown works for me. Maybe it was all part of the grand business plan, but it’s good to see Klim getting away from the sporty race wear and into more mainstream riding gear which will have many more buyers. Before I even got to Morocco my Outriders got soaked while waiting in the rain to board the ferry at Algeciras. A good test to see if they’d dry on the hour’s crossing. They did. 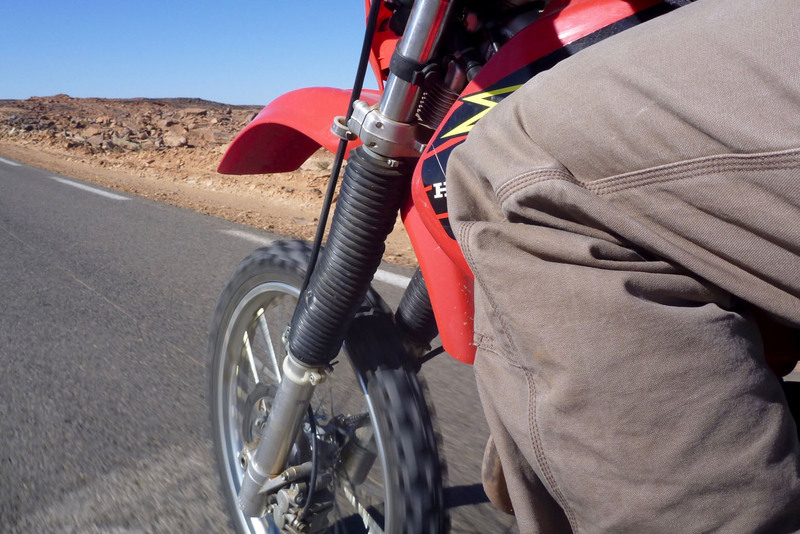 Over the next month I rode in temperatures from 35°C in Western Sahara, to close to freezing in the High Atlas (with runner’s leggings underneath). In all that time the Outriders never felt too hot and sweaty, nor chilled my legs out of proportion to the rest of me. 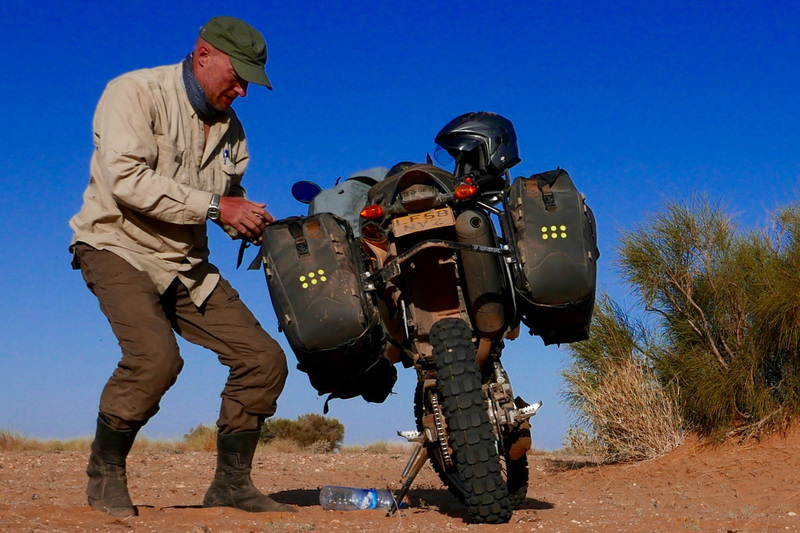 On the very hot days, just stopping for a minute in my Overland jacket, with all vents and zips open, saw me start sweating; my legs in the Outriders remained stable. Because they’re so long, tucking the rolled up ends into my boots and then doing the boots up became a chore on some days. 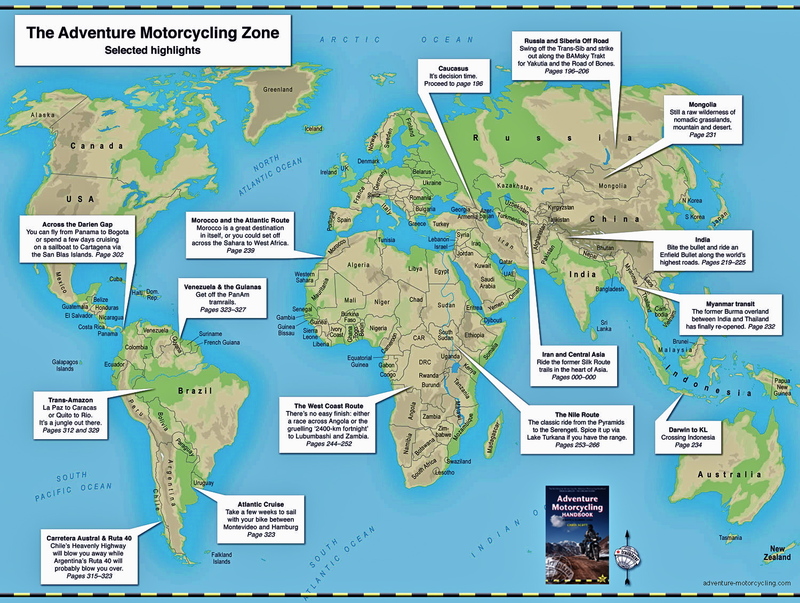 And, perhaps because my boots aren’t full knee height and clamped to my leg, over the course of a day getting on and off the bike they’d work their way out and need stuffing back in. I could have worn them ‘OTB’ but I’m sure they’d have snagged on something and got oily or ripped. As it was, they got ripped anyway while paddling hard through a sandy oued – didn’t notice till later as I was slightly desperate at the time. I suppose they caught the footrest or gear level on a forward lunge. 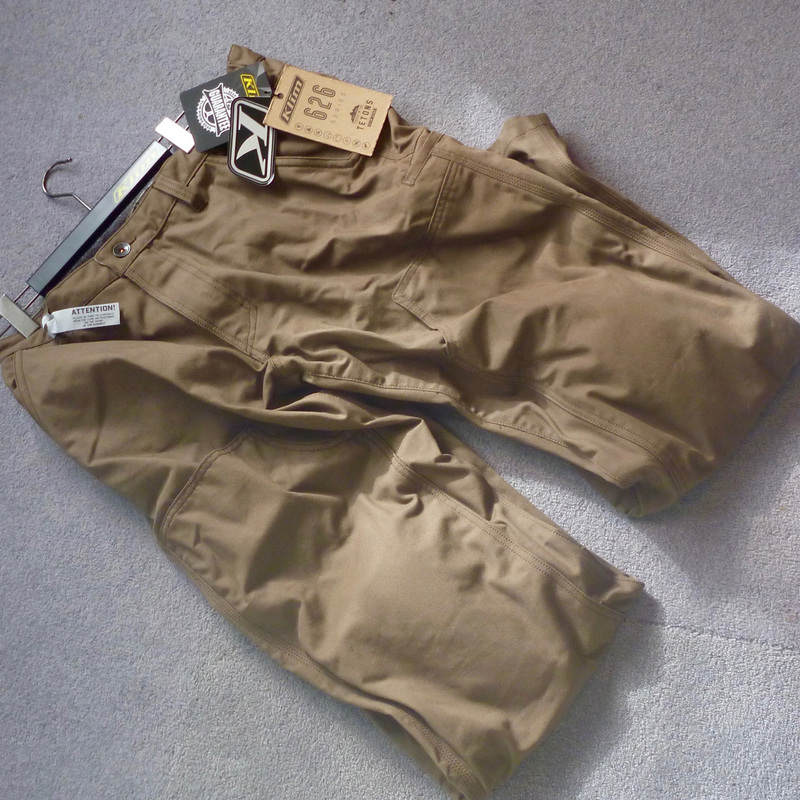 I got them machine-washed once – probably high temp and not inside out, contrary to instructions. I can’t say I noticed any shrinkage, if that is the reason (in fact I would have welcomed a bit of shrinking). 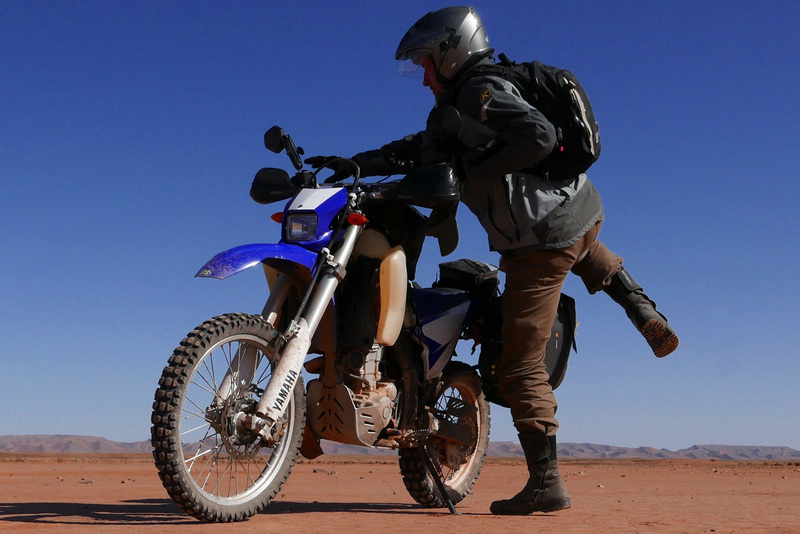 I didn’t crash in them either, though I dare say something closer-fitting like the Dakar ITBs would keep the knee armour in place better. Back home I got them shortened by 2 inches (using the off-cut to patch the tear), and a few months later cut a wedge out of the lower leg to get a slimmer shin fit and installed a zip along the inside. 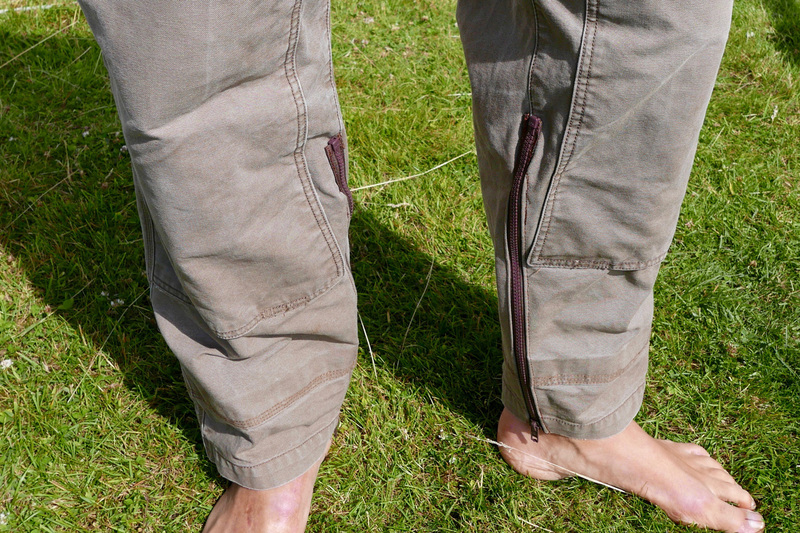 A side-benefit of the zip makes them easy to pull- or roll up to the knee for wading or general airing-off. 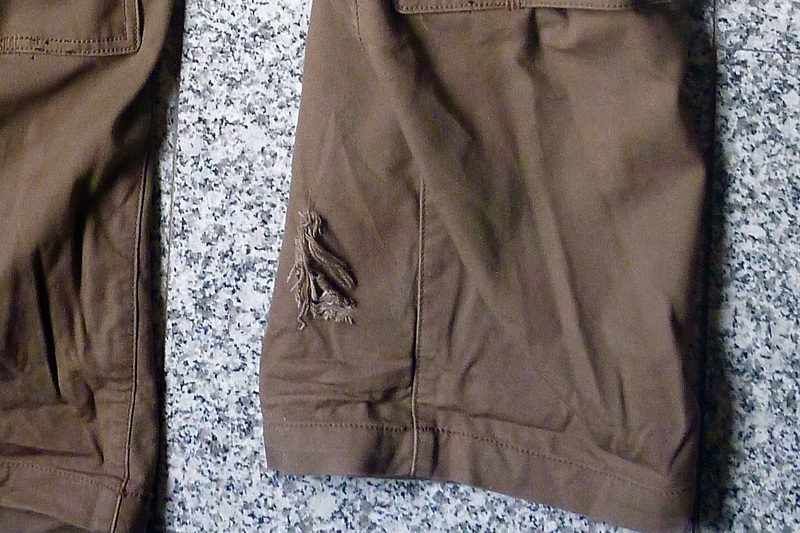 But all up that’s a lot of after-market sewing for an expensive pair of trousers. I know the American fit is typically larger than in Europe, but an inch is still an inch. 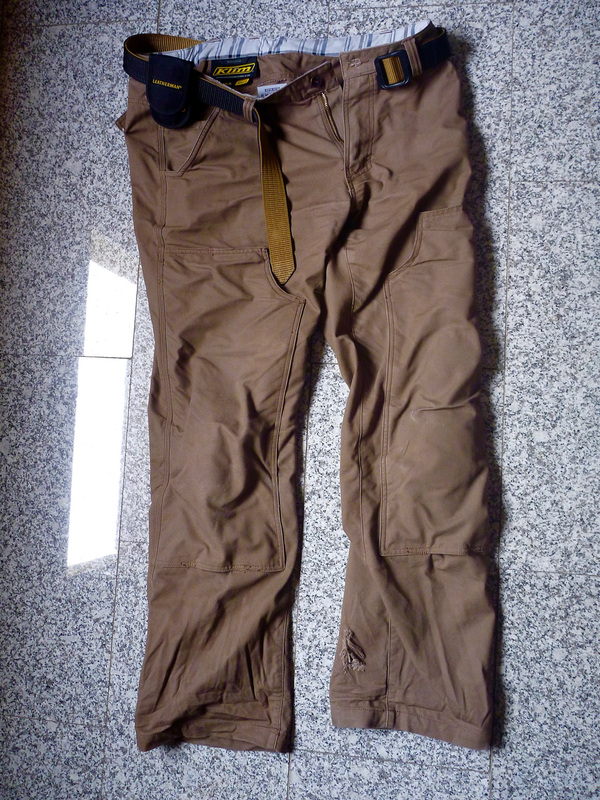 After another wash or three, the Klims are fading but are in good shape. 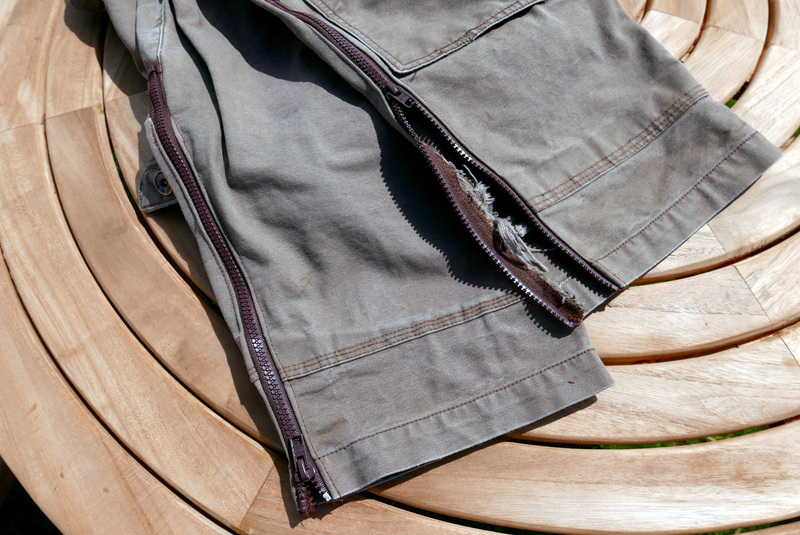 For the moment they are my general riding trousers, quick-drying and without the weight of leathers, the sweatiness of the ITBs or syntheticness of membrane over-trousers. 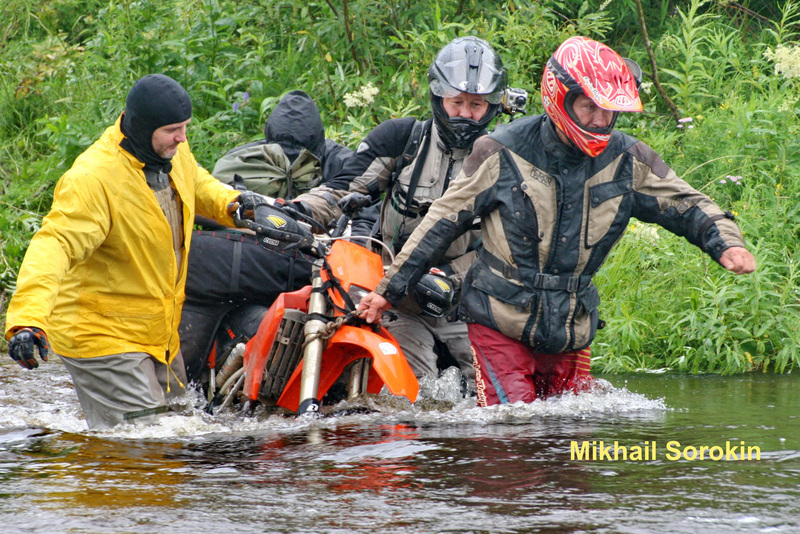 This entry was posted in Adventure Motorcycling Gear Reviews, Jackets & Trousers and tagged Klim Outrider pants review, Klim Outrider pants tested. Bookmark the permalink.